Hantavirus infection in the United States can cause severe and life-threatening illness, requiring rapid assessment, presumptive diagnosis, and high-level supportive care of respiratory and cardiac functions. Hantavirus infection causes a cardiopulmonary syndrome, which includes rapid accumulation of pulmonary edema following a flu-like prodrome. Approximately 37% of cases end in death. Although hantavirus disease is rare, clinicians should be aware of the risk factors, clinical picture, and essential care elements. During this COCA call, clinicians will learn about the epidemiology, diagnosis, and clinical care of patients with hantavirus disease in the United States. A low proportion of persons who had testing for Zika virus in the United States had confirmed Zika virus infection. 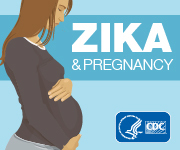 Approximately 99% of asymptomatic pregnant women who were tested had no laboratory evidence of Zika virus infection. Majority of reported problems occurred in individuals intentionally misusing and abusing high doses of loperamide in attempts to self-treat opioid withdrawal symptoms or to achieve a feeling of euphoria. Sibutramine is known to substantially increase blood pressure and/or pulse rate in some patients and may present a significant risk for patients with a history of coronary artery disease, congestive heart failure, arrhythmias or stroke. Revised warnings in the drug labels to include information about acute kidney injury and added recommendations to minimize this risk. Health care professionals should discontinue prescribing Zecuity, and patients should stop using any remaining patches and contact their prescribers for an alternative migraine medicine.